Leave your car at home and enjoy some of the nearby walks and rides. 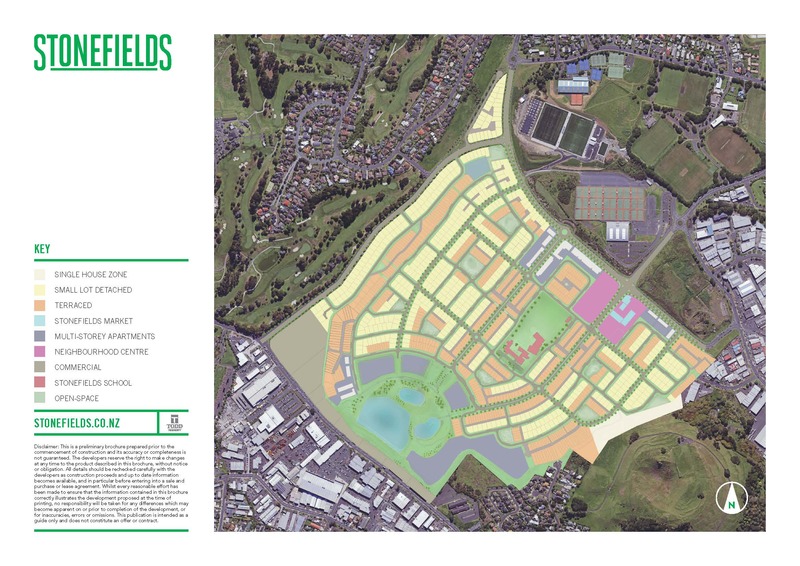 The map below shows access points to and from Stonefields for walking and cycling. It shows several local walks and rides. Click the square at the top right of the map to see more details of each route. Like to share your own favourite nearby walks and cycle routes? Leave a comment below. 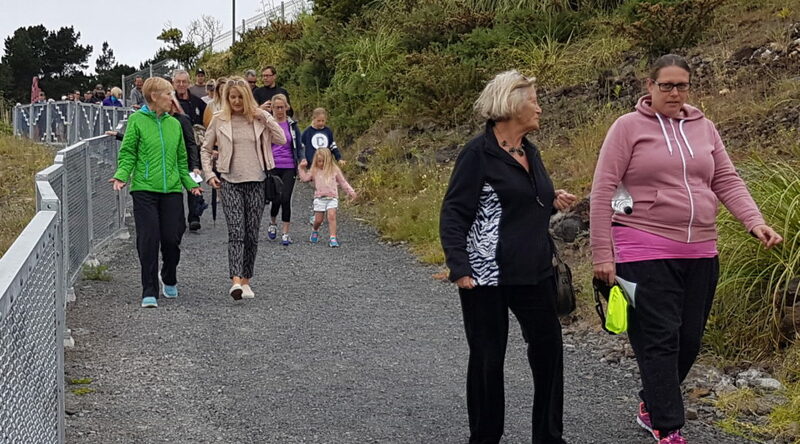 This wonderful facility provides a 1.6 km walking trail that skirts the walls of the old quarry, offering excellent views of Stonefields, Maungarei/Mt Wellington, and beyond. There are several entry/exit points to/from Stonefields and to the Lunn Ave shops and cafes. Suitable for walking and running. Due to steps in the middle, it is limited for cycles, prams, mobility scooters, etc. If you want to cycle or take a stroller, it’s probably best to enter via the Tihi/Papango entrance and exit at Lunn Ave near the Coffee Club (there are four steps at this exit). At the other end of Stonefields, you can enter via the steps at the corner of Tephra Blvd and Barbarich Drive, or via Magma Crescent. Enjoy a great walk and spectacular 360-degree views of Auckland from the summit of Maungarei / Mt Wellington. A few hundred metres from Panmure Basin is the start of the Rotary Walk. 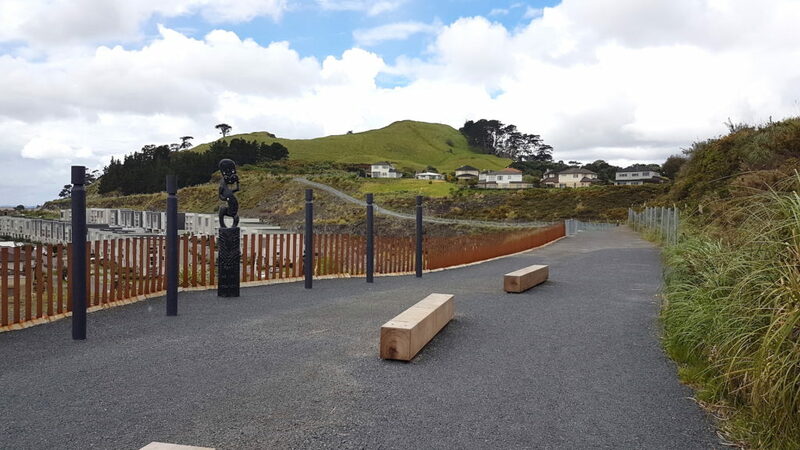 You can cycle or walk from Panmure Bridge to Half Moon Bay on a smooth, flat shared path with great views of the Tāmaki River and plenty of places to enjoy a picnic lunch, snack, fish, or just a rest to take in the views. For the kids, there’s the excellent Snakes & Ladders Park by the Pakuranga Yacht Club. If you’re really keen, take the ferry from half Moon Bay and go all the way to Waiheke Island! Full Route Map of Rotary Walk: http://bit.ly/rotarywalk or read a description of the path. OK, low on excitement but good for your health. It’s just 600 metres—about 10min—to walk from the steps at the Tihi / Barbarich corner (or a couple of hundred metres from Barbarich/Charles Heaphy Lane) to Lunn Ave for a quick trip to the supermarket, hardware store, or a cafe, pub or restaurant. Go on, do it! Got a favourite nearby walk, cycle route or outing you’d like to share? Leave a comment below. When I cycled on the Pakuranga Rotary Shared Path I felt sorry for the pedestrians as it is not really wide enough to be shared. Unlike the new cycle-walkway between Merton Road and St John’s Road which is beautifully wide and pleasant to ride.